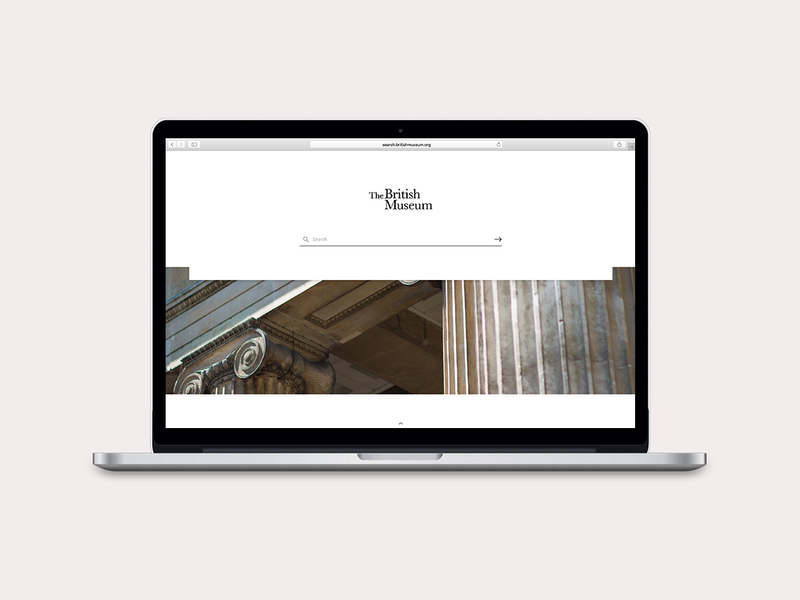 The British Museum’s search tool pulls together multiple data sources through the use of Google Search Appliance. The search explores the collections database, academic research papers, learning resources and more. Audience: Everyone who comes to the main website are potential users for the search function. Stakeholders: The main stakeholders were the digital humanities team, the product development team, the e-commerce team, the research department and development. Process: At the top level, designing a clean interface that prompted search was a key design task. We wanted to apply the same visual language that was being applied to the design for the new website. The design for the results page took into consideration how to prioritise the search categories and whether a content preview was useful to users. The team have received both user and internal feedback on this new search interface. Though the search landing page prompts a clean, easy-to-use interface, more work can be done on the results page. Simplifying the search categories would help, but with the vast amount of research articles, more time needs to be spent with the research community to understand their content needs.